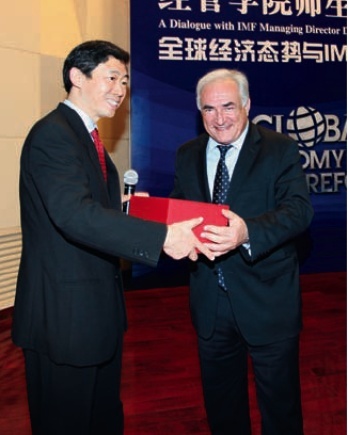 China’s economist Dr Li Daokui is the perfect combination of Chinese creativity and realism. He is a modern, fresh-thinking, brilliant economist. Educated in China (Tsinghua) and the US (Harvard) he has recently been appointed to the Monetary Policy Committee of the Central Bank of China, the People’s Bank of China (PBOC). As an academic researcher, teaching and working with students, he is not afraid to deal with ‘avant-garde’ ideas. Moreover he is pushing these ideas at the highest level, which is something the West sometimes lacks the courage to do. One of the very brilliant figures in China’s increasing contribution to world economy thinking, he has one foot in a powerful academic think-tank and the other in the daily constraints of the Chinese economy. Get a taste of what this mix produces and read what he says about balancing an economy, the dollar’s struggle, the renminbi’s rise and his thoughts on ‘market sentiment’.